"Choir Boy," a play by the hot playright Tarell Alvin McCraney, involves a group of students at a prep school where the choir is a source of great pride. Hear Howard Shapiro's review this week on In a Broadway Minute Friday (1/18) at 8 am and Saturday (1/19) at 10 am. 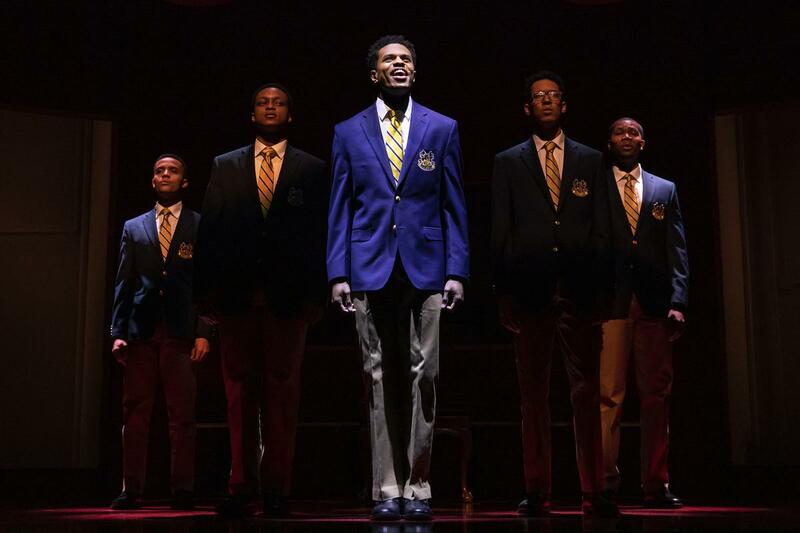 In “Choir Boy,” from left: Nicholas L. Ashe, J. Quinton Johnson, Jeremy Pope in the title role, Caleb Eberhardt and John Clay 3d.